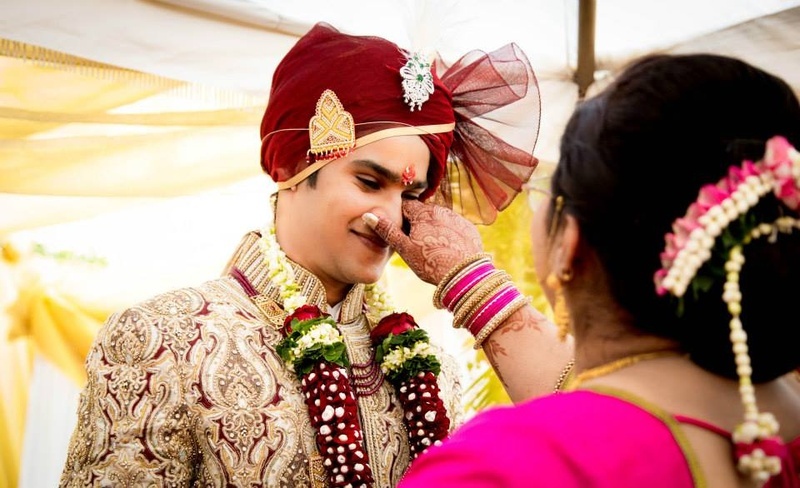 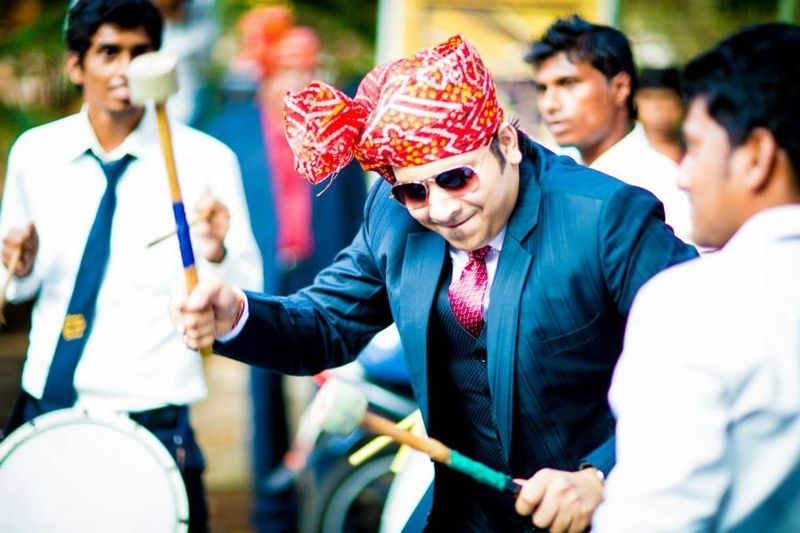 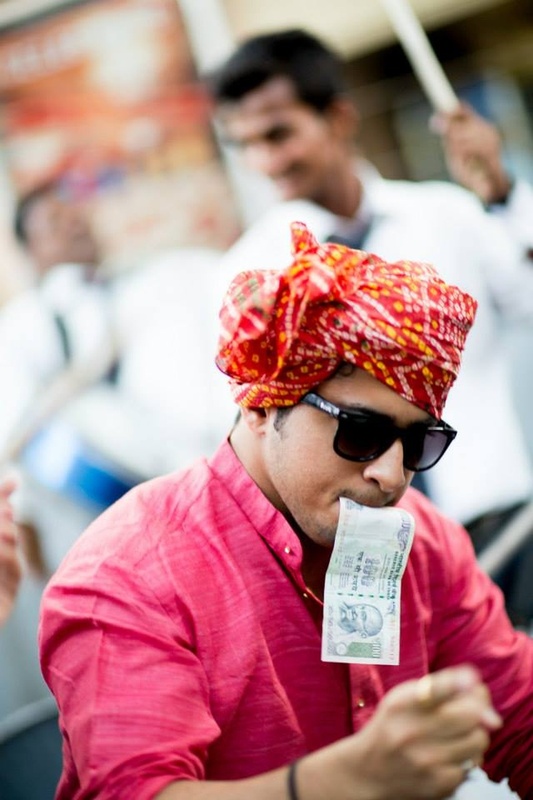 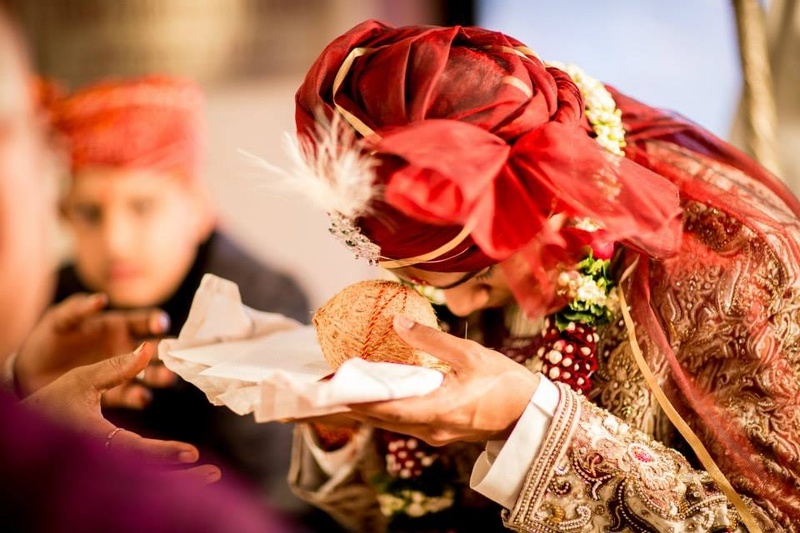 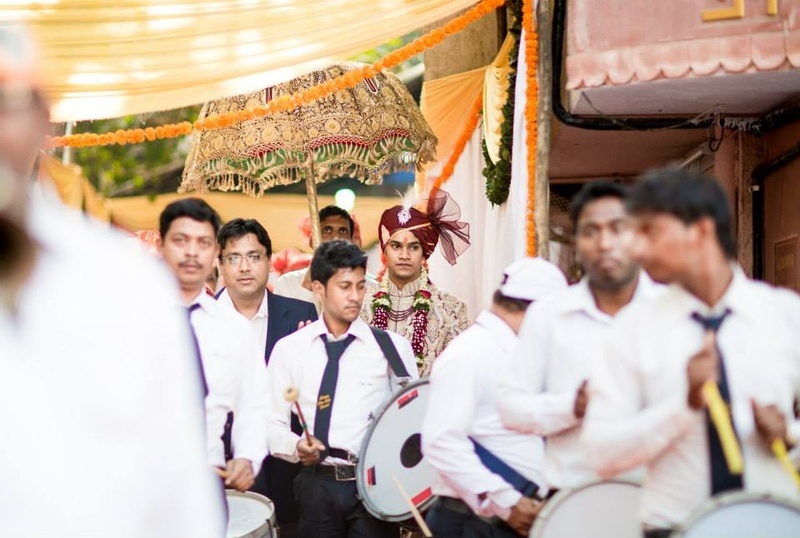 Organized at Mumbai’s renowned five Star Novotel in Juhu, Chirag and Disha took their saat pheras in an open-air wedding mandap set up by the beach. 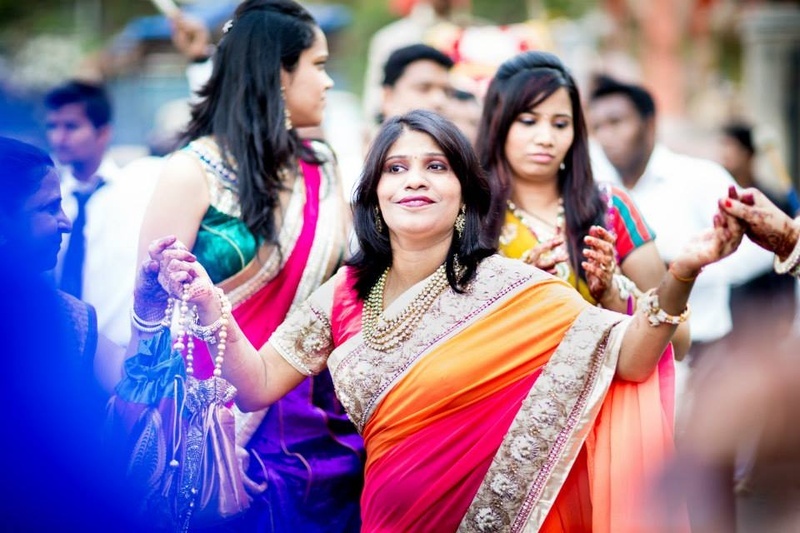 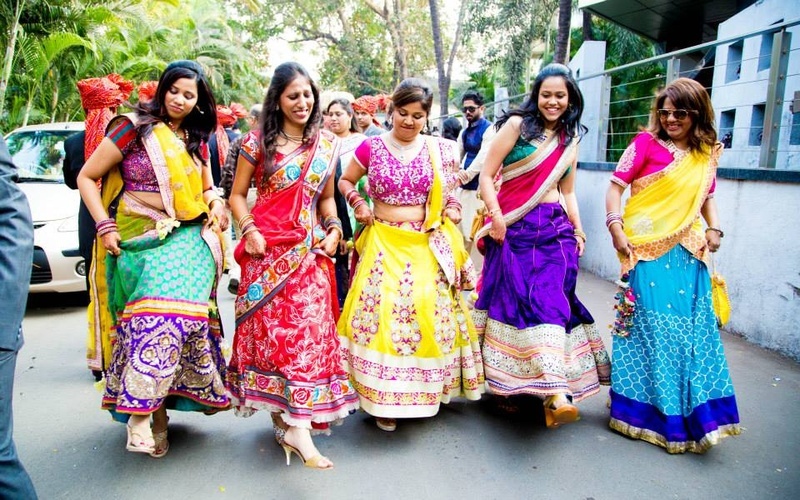 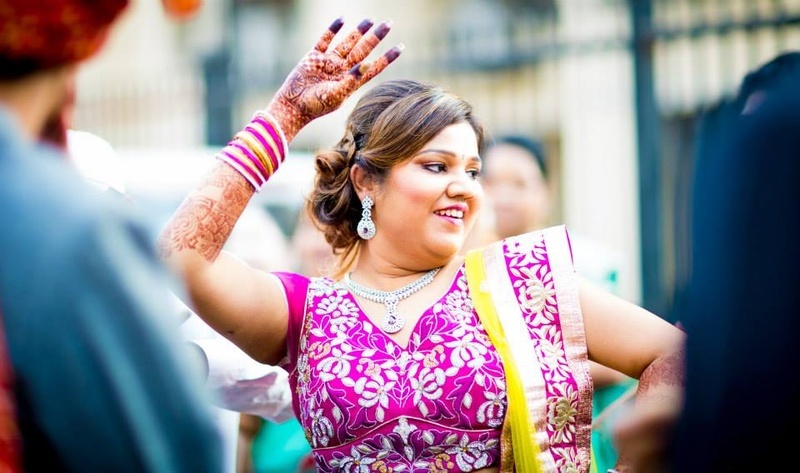 Wearing colourful lehengas and sarees, the girl gang danced in sync, while the guys took craziness to a whole new level in crisp suits with safas for that indo-western feel, during the Baraat. 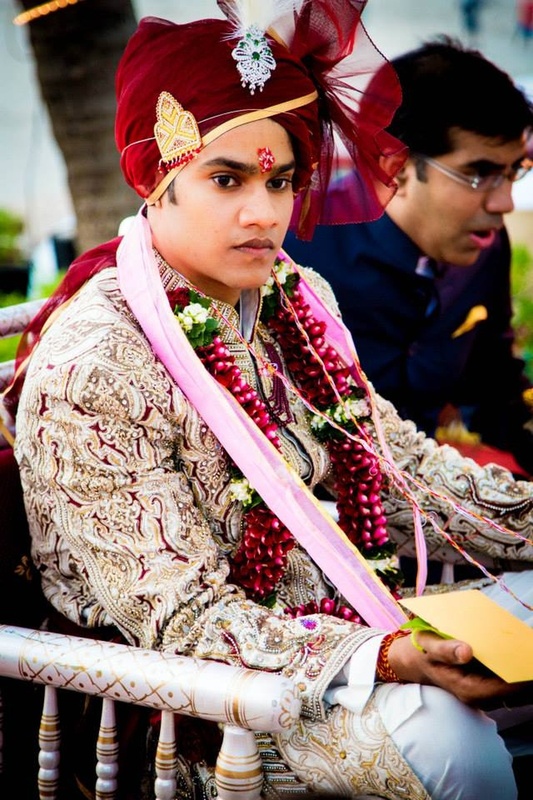 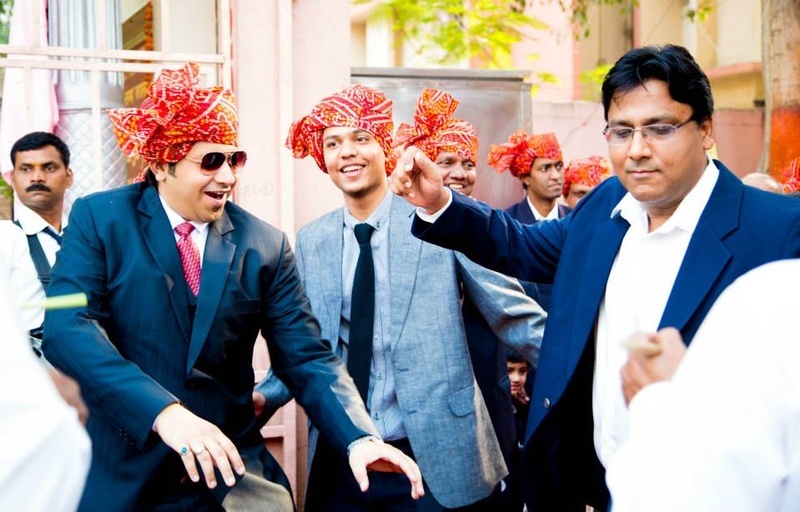 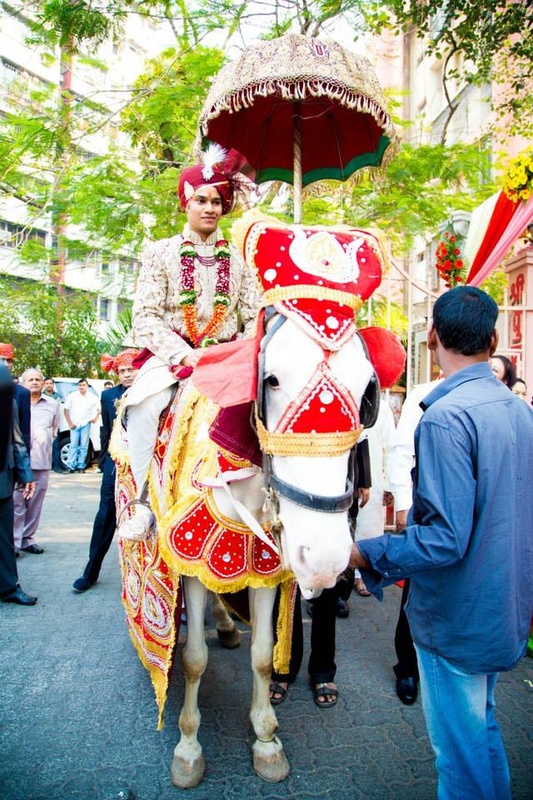 Riding on a ghodi with an embroidered wedding umbrella over his head, Chirag arrived in style. 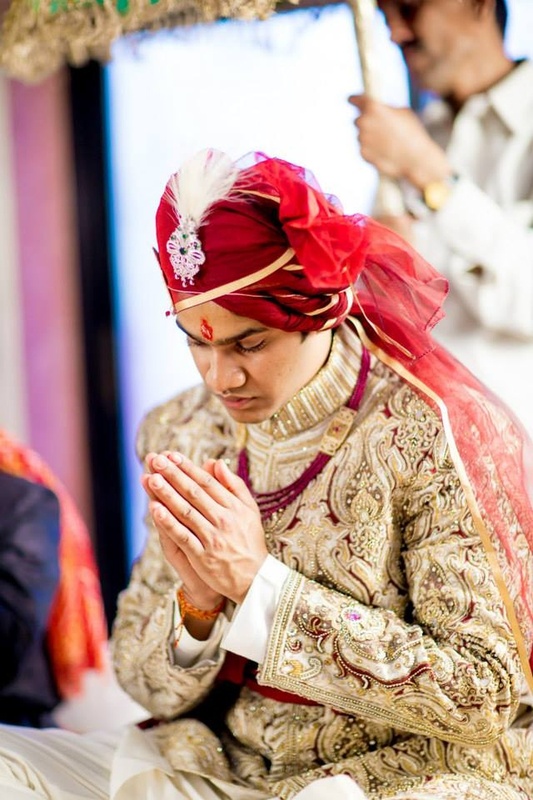 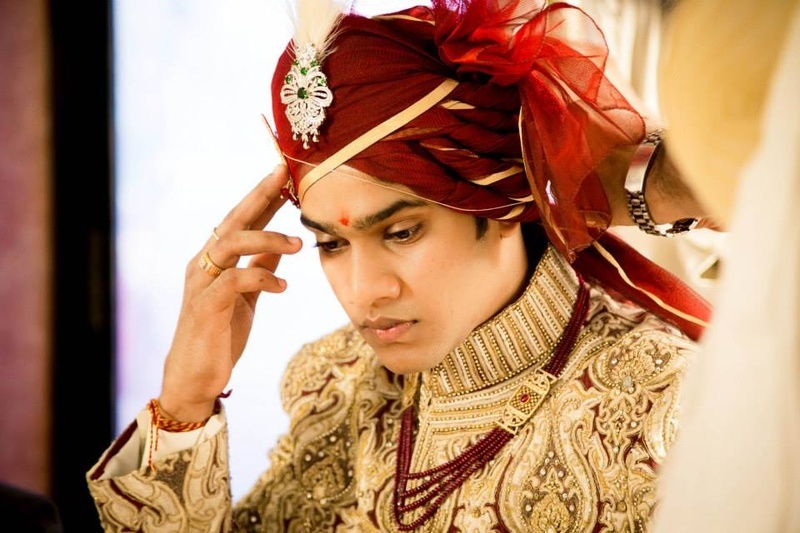 He looked dapper in his fully gold beaded ethic embroidered sherwani, and accessorized his traditional look with a red velvet safa, adorning an ornamented brooch and feather topper. 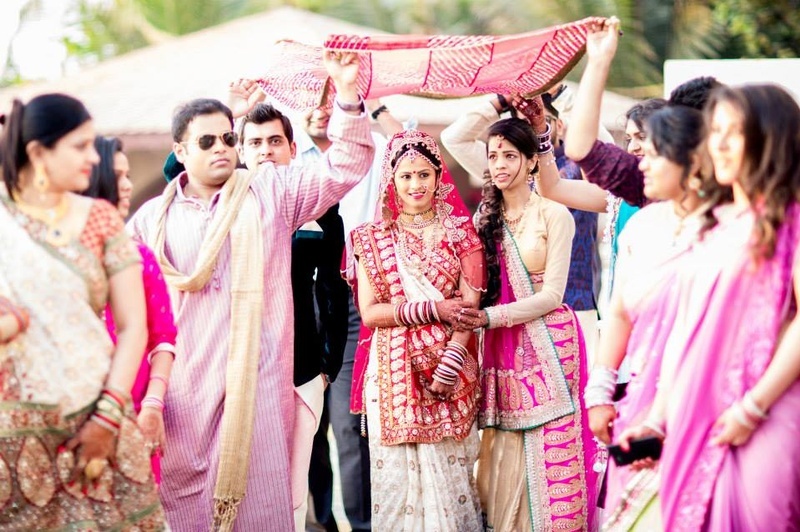 Disha too, looked extremely elegant in her wedding attire. 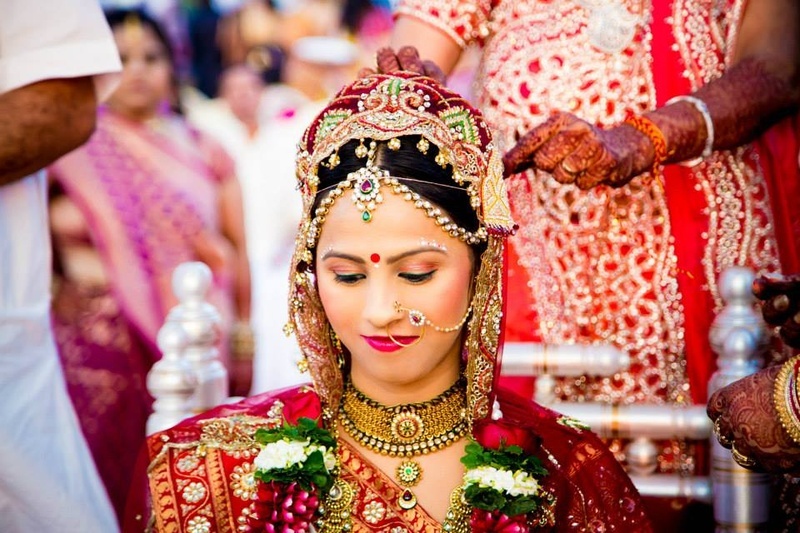 Her bridal jewellery adorned with ethnic patterns complimented her red and white traditional paanetar bridal saree perfectly making her an absolutely ravishing bride. 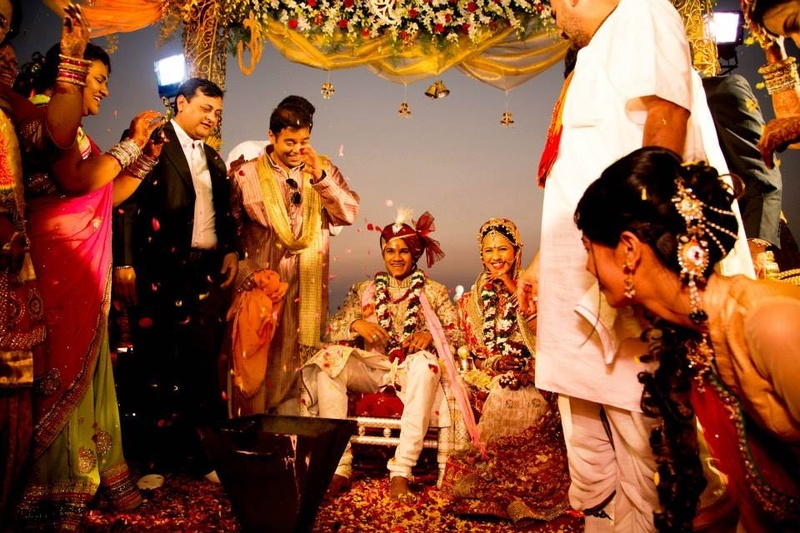 What will sweep you off your feet, is this couple’s wedding ceremony that took place with a gorgeous sunset background. 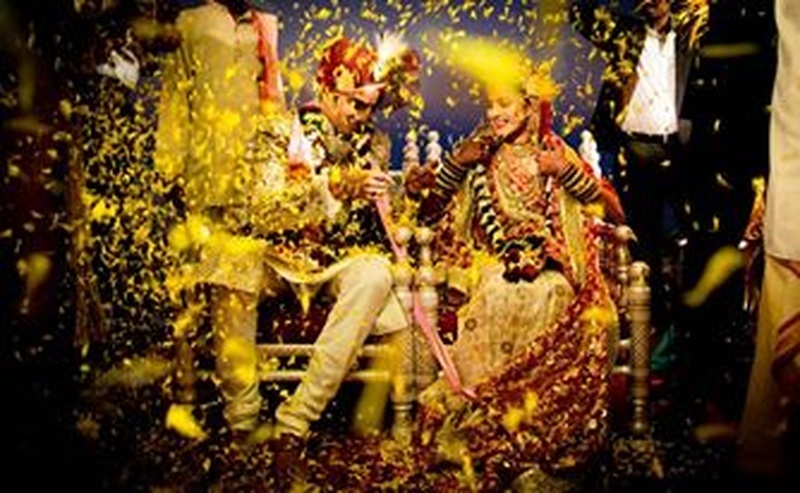 The floral decorated mandap were decorated small bells that clinked with every gush of wind. 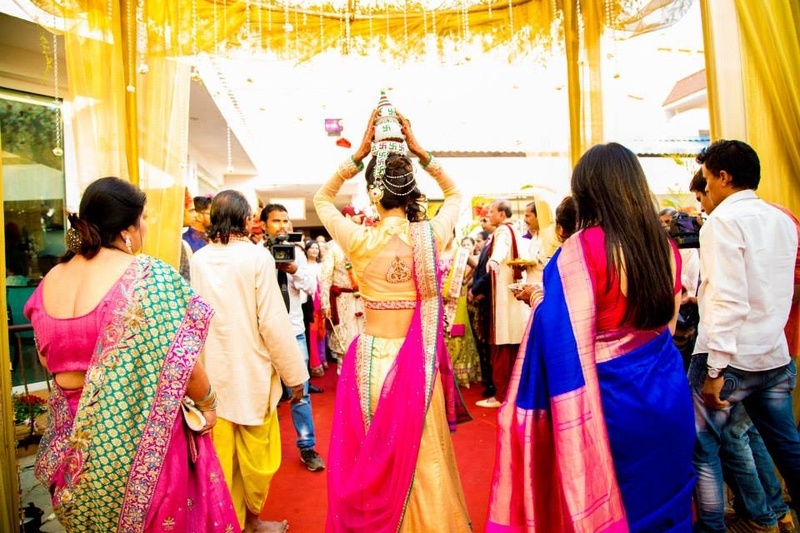 Girl in Pink Photography clicked some fabulous images, blending nature and traditional rituals, efficiently in each image. 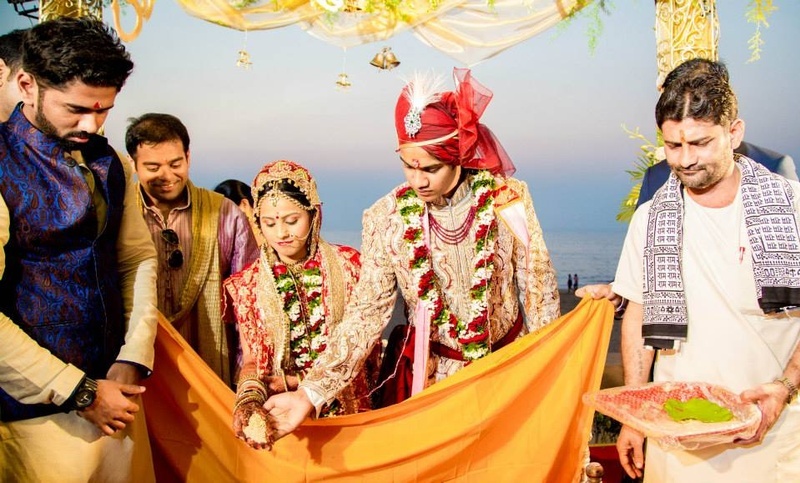 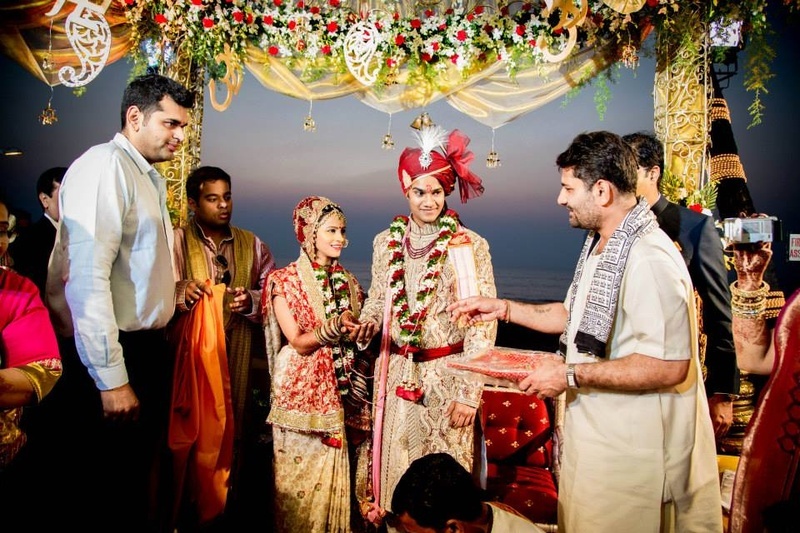 Let’s have a look at this romantic beach-inspired Gujarati wedding ceremony, set against the sea shore.